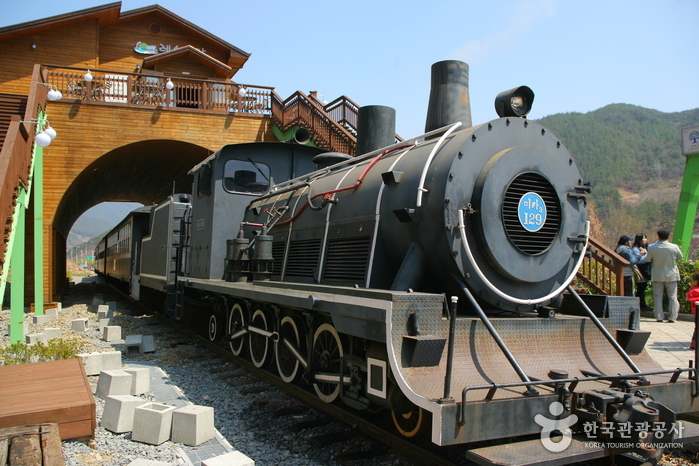 A steam engine train was built to be an exact replica as the one that used to run in the region. 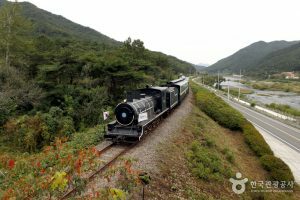 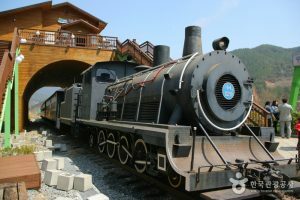 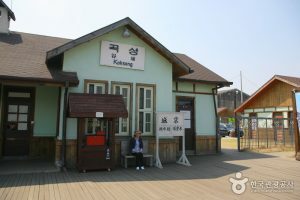 The train runs 10km between the old Gokseong Station (Seomjingang River Train Village) and Gajeong Station. 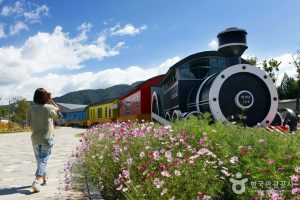 Passengers can enjoy the scenic view of lush greenery along the Seomjingang River and flowers alongside the roads at springtime. 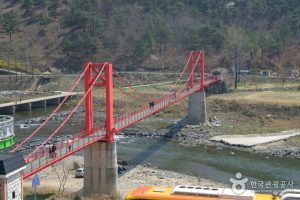 The rail bike runs alongside the Seomjingang River from Chimgok Station to Gajeong Station.